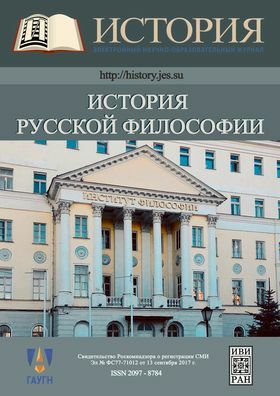 The proposed training manual was prepared by leading specialists of the Institute of Philosophy of the Russian Academy of Sciences within the framework of the federal project of the Innovative Educational-Methodical Complex «History», Implemented by the State Academic University of Humanities. Chronologically, the course fully covers the history of Russian philosophical thought, beginning with its formation in the Middle Ages and up to the philosophical discussions of the post-Soviet period. Among the methodological principles that guided the authors in the process of work - the rejection of ideological stereotypes, the desire to demonstrate the complex dynamics of the historical development of Russian thought, the diversity of its directions and, at the same time, a certain internal unity. Another distinguishing feature of this course is the consideration of the ideas of Russian philosophers in the world context, from the point of view of the dialogue of philosophical cultures of Russia, the West and the East. For the first time a separate chapter is devoted to the domestic philosophical periodicals of the past and the present as the main channel for the translation of new ideas. In the course of the work on the manual, the author's team sought to provide a clear and accessible presentation of the material, combining this task with a research, problematic approach to the subject, as a result of which the overall structure of the course and the elaboration of its thematic sections are largely innovative.